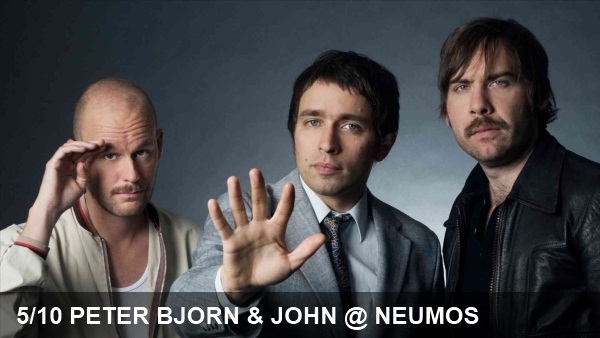 If you were introduced to Peter Bjorn & John before every radio station, bar and grocery store began playing Young Folks to death, there’s a good chance you have fond memories of the Swedish indie pop group. If the ultra-catchy Young Folks was your first through 1,000th encounter with the band, you likely still curse the cringe-inducing whistling for taking up residency in your head. Believe it or not, the band actually has a whole catalog of other songs that haven’t been grossly overplayed and don’t have such a strong bubblegum pop feel. They’re currently promoting a new album, Gimme Some, which feels a little more like OK Go than The Archies. If you’re in the mood for feel-good indie pop, Neumos is your best bet tonight. PB & J will be supported by New Zealand’s Bachelorette.